My lovely neighbour, a dear old lady, gave me this satin beaded clutch purse today. I think it is rather lovely and could be repaired. I asked her how old it was and she told me it was at least 30 years old. I have a fairly good idea of how old it truly is. When do you think it might have been made? 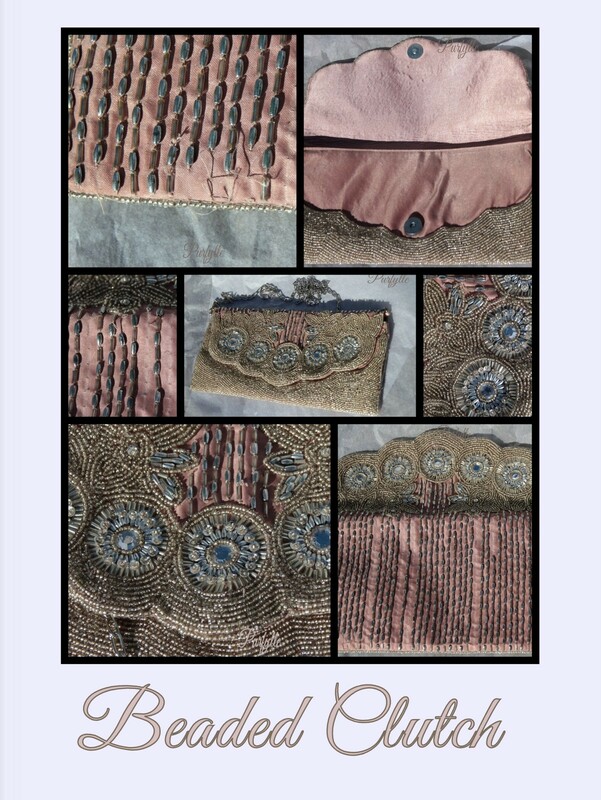 This is such a lovely beaded clutch, and I'm sure you can repair it. I'm thinking from the 50s? It's rather pretty isn't it? I'll reveal the date next week. Hi Stella, I a no expert, but to me that purse looks a lot older than thirty years old. I would take a guess at the 1920's. I'll be interested to know! It would look lovely with those 1920's beaded beauties wouldn't it? It's not 1920's though. That is a gorgeous purse! I'd say 1920s or so as well. That kind of thing just reminds me of that era. I don't remember my grandmothers having anything like those purses - they were much more functional women. Well, I guess this sort of purse would be something you would keep stored away nicely and only pull out on special occassions.